We have been pampering our clients in the Inner West of Sydney since early 2002. We continually strive to provide the best services possible in a welcoming, relaxing and hygienic environment. At Dolce Vita Beaute skin care is not just a job for us, it’s our passion! 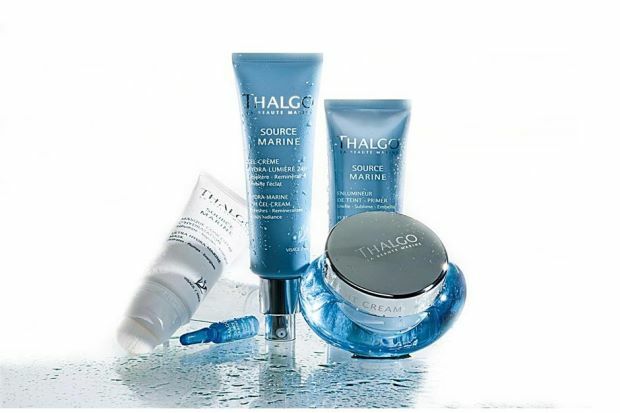 Using Thalgo, Dermalogica and Kerstin Florian skincare, we offer a wide range of facial treatments including anti-ageing facials, brightening facials, hydration and deep cleansing facials, teenage facials, peels, microdermabrasion, IPL skin treatments, radio frequency for skin tightening and much more. Come in and see us for a free skin analysis and we can work out the right treatment plan for you. We offer hygienic and professional waxing services for both men and women. We specialise in eyebrow waxing and eyebrow design, speed waxing, gentle hot wax for Brazilian and sensitive areas, no double dipping and every waxing client gets a lollipop! We are experts in tanning, making sure all of our clients get the most natural spray tan suited to their requirements. Our solution has a green base so you won’t go orange and we have options for all skin tones and time schedules. We offer rapid tans, 6-8 hours tans and overnight tans. Book in for your most natural tan with us and we can have a colour consult with you when you arrive. We offer ear and nose piercings using Blomdahl’s medical piercing technique. This is a hygienic and safe way to pierce because it uses a disposable cassette containing a sterile ear piercing earring and earring backing, nothing is exposed to germs or bacteria. When piercing both ear lobes, we do them simultaneously so it is over before you can blink and makes it perfect for children who may be nervous. We do a consult for piercing placement prior and we go through after care instructions at the end. All piercing clients will get a lollipop! We offer a wide range of body treatments including Swedish massage, back treatments for acne, IPL permanent hair reduction, fat cavitation, skin tightening, exfoliants and wraps. We provide a hygienic experience for mani’s and pedi’s, each client will have a brand new file and buffer used on them which is then stored in their own named bag for each visit. We autoclave all of our metal ware so it is properly sterilised and we use disposable inserts in our pedicure buckets. We use CND nail polishes including shellac. I have been coming to this place for years and it never disappoints. Great selection of treatments and very friendly and professional service. Highly recommend! I would highly highly recommend this place for waxing. The staff is absolutely amazing and they have often found the time to fit me in to their schedule last minute, or managed to get everything I needed done even during those times when I’ve arrived a little late. I would recommend booking in advance, because they are generally quite busy. I have been coming to this place for about 5 years and I have never been disappointed. Since then I’ve even moved out of the area, but I go out of my way to come back. This is the best waxing place I’ve found in Sydney! Dolce Vita Beaute is an amazing salon! I had a Collagen Facial here this week and the girls did an amazing job. Skin looked instantly more plumped and glowing! Highly recommended. I get my waxing done here. They're super professional and very friendly, I wouldn't go anywhere else! Excellent, professional and friendly service. I am a long term regular customer and am never disappointed with my experience here across a range of treatments - IPL, waxing, pedicure/manicure, facials. The staff are attentive and take care and pride in what they do every time! Always such a pleasant experience. The staff are always genuine and professional. Would highly recommend! Had the best spray tan ever by Kate here - turned out perfectly! I was worried I'd end up way too dark, patchy and orange like all my other experiences, but Kate did a wonderful job and her after care tips ensured my tan was natural, even and lasted over a week before fading rather than coming off in patches. Very professional and friendly service. A long term fan. Professional, Spotless and Courteous. Love this place!!! Great Service!!! I wouldn't get my eyebrows done anywhere else. I live pretty far away from Newtown but make the trip every time because they are the best at eyebrow waxing and tinting 🙂 Highly Recommended!!! It's the only place I can go for all of my skin care and waxing needs, the most hygienic clinic I have ever been to! All the girls at Dolce Vita Beaute are so genuine and caring, they really take pride in what they do & we have the best chats. I started going there in January this year because I had bad skin and now only 8 months later, my skin has improved so much, they are experts in facials- they really know what they’re talking about with skin and their facials actually work! I am so happy and couldn’t recommend them more highly. Don’t settle for bad skin like I did for so many years, book in and get it sorted. We are a professional, friendly and down to earth team who aim to give each client the very best experience. We continually strive to provide the best and most professional services possible in the most hygienic environment. The caring nature in which we deal with clients is like no other. All staff are required to keep up with training so their knowledge is current. All of our equipment is sterilised in an Autoclave that is approved by the NSW health department. We are constantly looking at updating our services, machinery and training to provide the most efficient and up to date methods the beauty industry has to offer. At Dolce Vita Beaute skin care is not a job for us, it is our passion. Dolce Vita Beaute has teamed up with Lady Lash in Newtown. They are the best in the business when it comes to eyelash extensions. 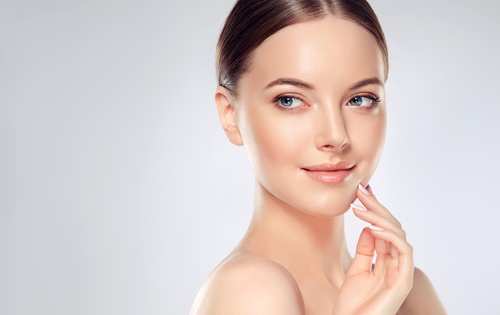 Mention ‘Dolce Vita Beaute’ when booking at Lady Lash to receive 10% off your first visit. Click on their logo to view their website.